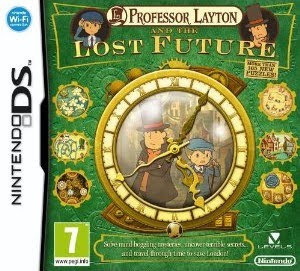 Although European and North American gamers are still waiting for the third Professor Layton title to hit the streets in their respective territories--it'll be released on Oct. 22 in the former and on Sept. 12 in the latter--their Japanese counterparts have had access to the game since late 2008. Have the folks in Nintendo's European and North American offices spent the ensuing years on anything other than the game's translation? If the following images are any indication, they've at least tweaked the title's cover art. Nintendo of Europe's makeover (below) is the most extreme--especially as it accompanies a rather confounding name change. Nintendo of America's design (below), on the other hand, is a lot less dramatic. So, which one do I prefer? I'd go with the North American design, hands down, if screenshots didn't obscure a third of it. Of course, I'd like the European cover a lot more if it sported the logo that appears on its North American counterpart. I guess what I'm saying, then, is "neither." 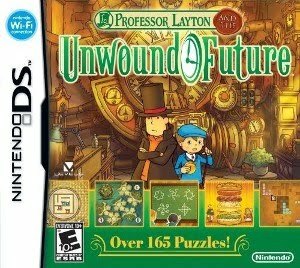 Not that it matters--I'd buy the game day one even if it were sold in a plain paper sleeve. Hm. What did Japan's look like? I can't recall...but I like the US one better of THESE two.